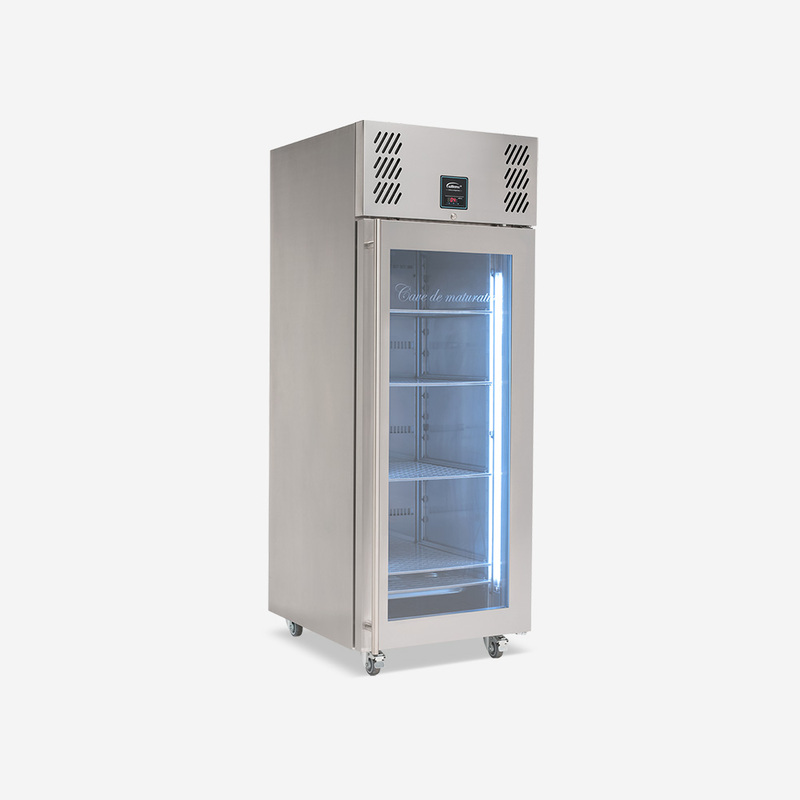 Stylish design is combined with a robust, all stainless steel construction. 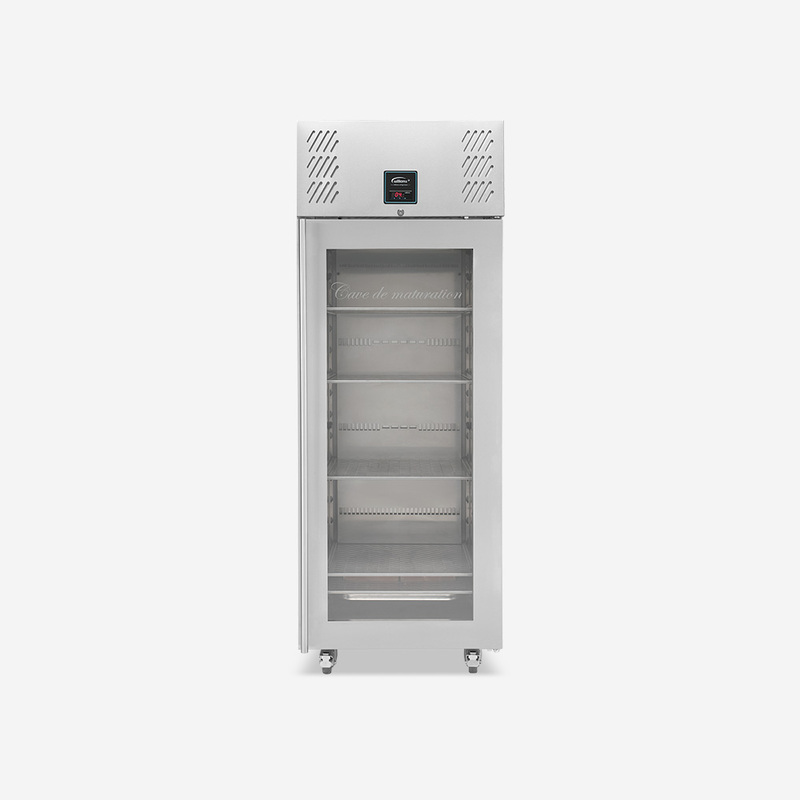 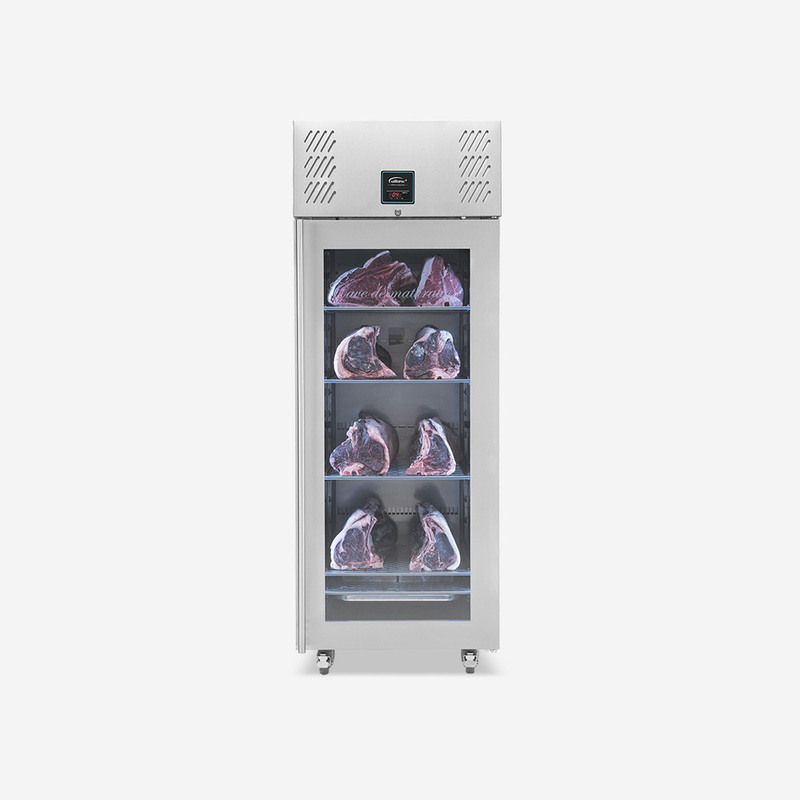 The meat ageing refrigerator is able to operate in environments of up to 43°C. 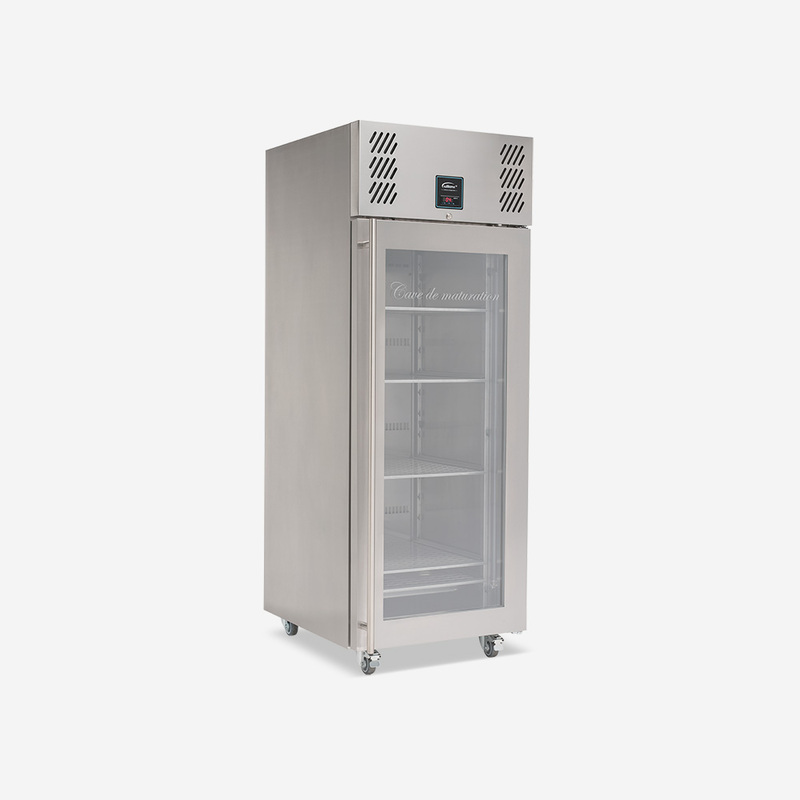 Stylish design is combined with a robust, all stainless steel construction. 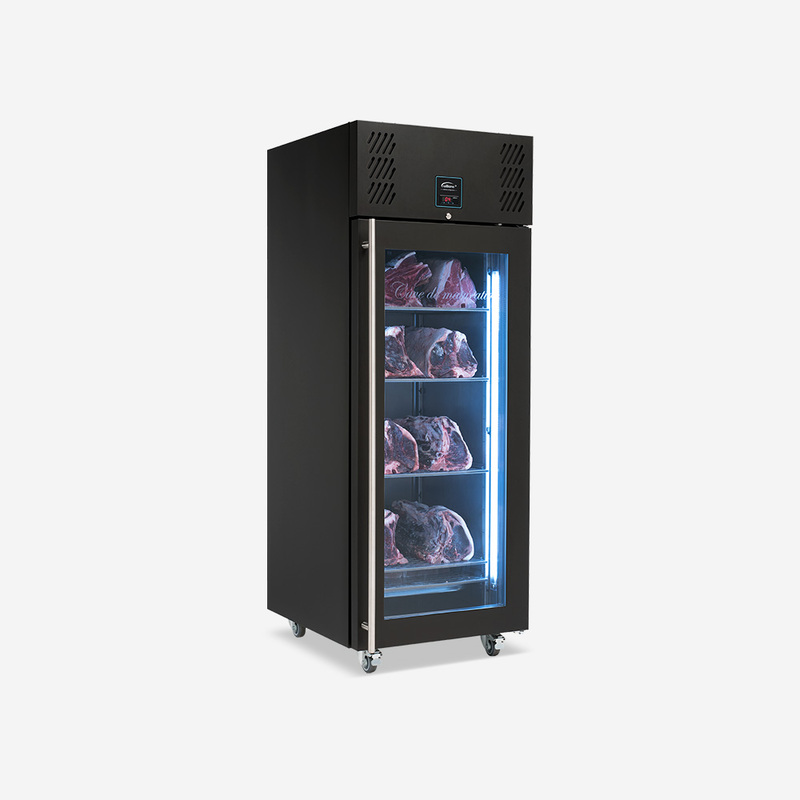 The meat ageing refrigerator is able to operate in environments of up to 43°C and its interior is brightly lit with energy saving LEDs, making it ideal for front of house display. 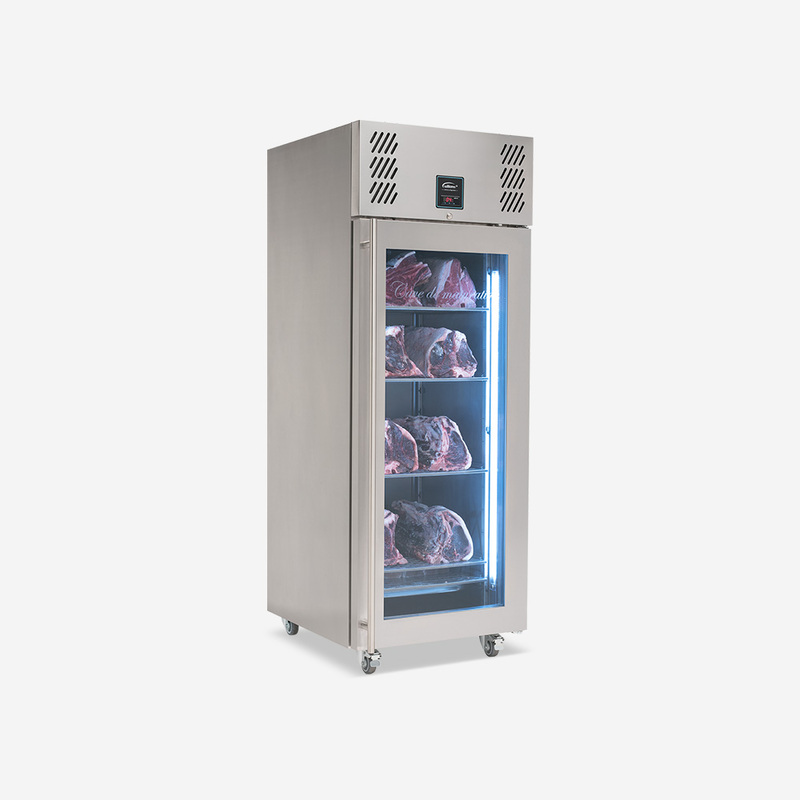 The perfect meat ageing conditions are maintained by providing humidity between 60-90% and the inclusion of Himalayan salt blocks that assist with moisture management and improves the flavour of the meat. 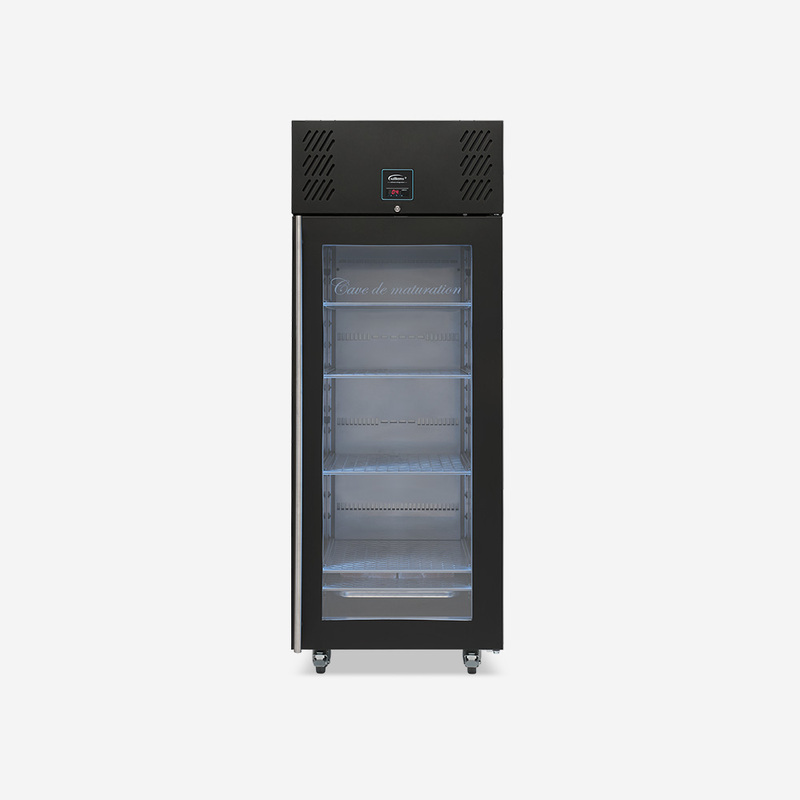 Capacity and versatility are well managed – the cabinet has four 2/1 GN perforated stainless steel shelves with anti-tilt tray slides, each able to hold a maximum of 20kg per shelf. 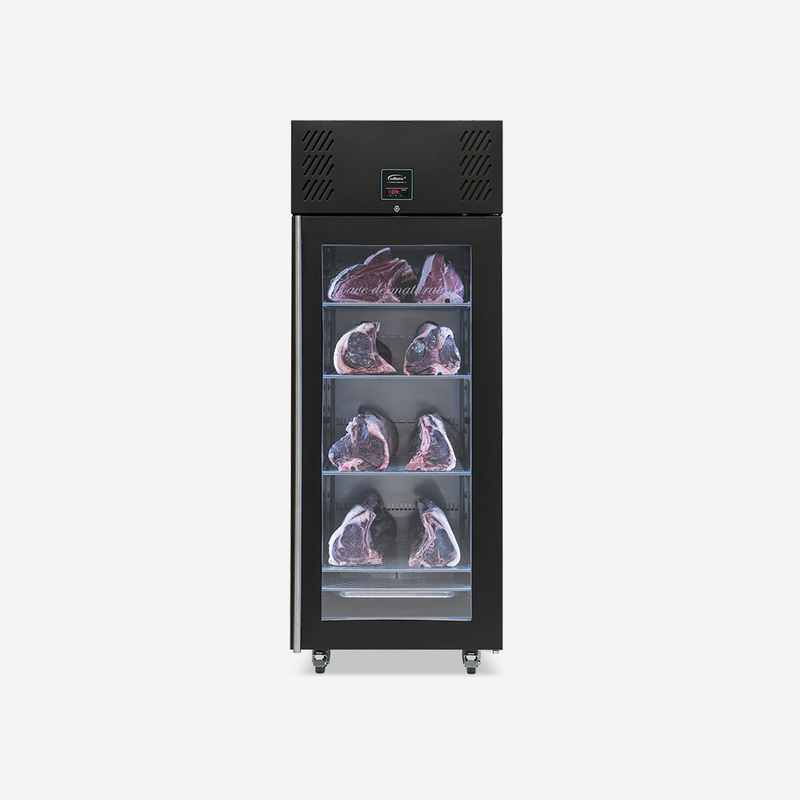 Alternatively the unit can be supplied with meat hanging rails. 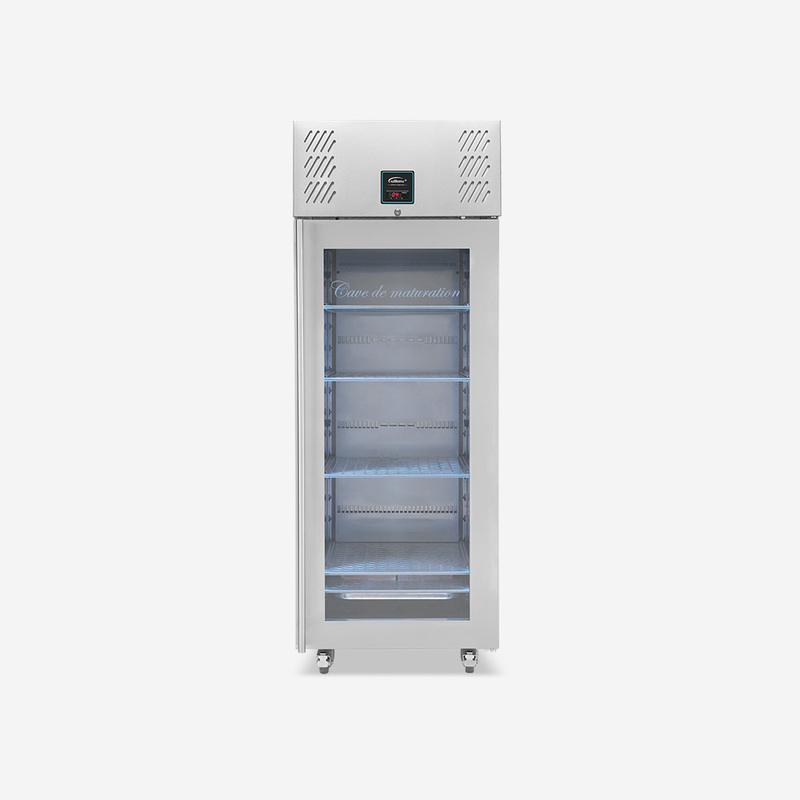 Construction includes 80mm polyurethane insulation with zero ODP and low GWP and provides excellent thermal efficiency. 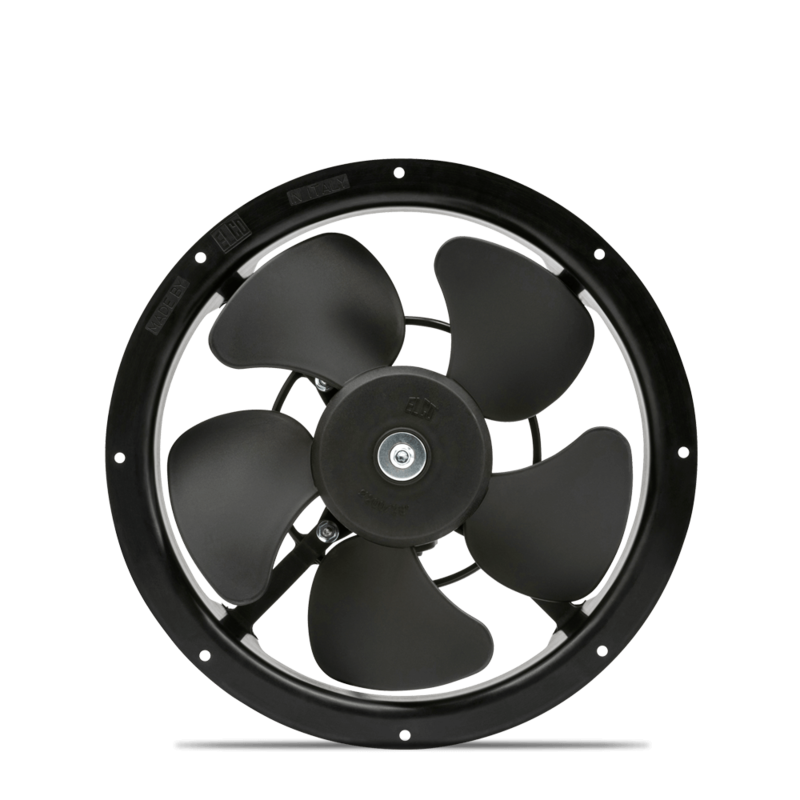 Delivered to site with heavy duty, non-marking swivel castors with brakes for superior mobility and stability. 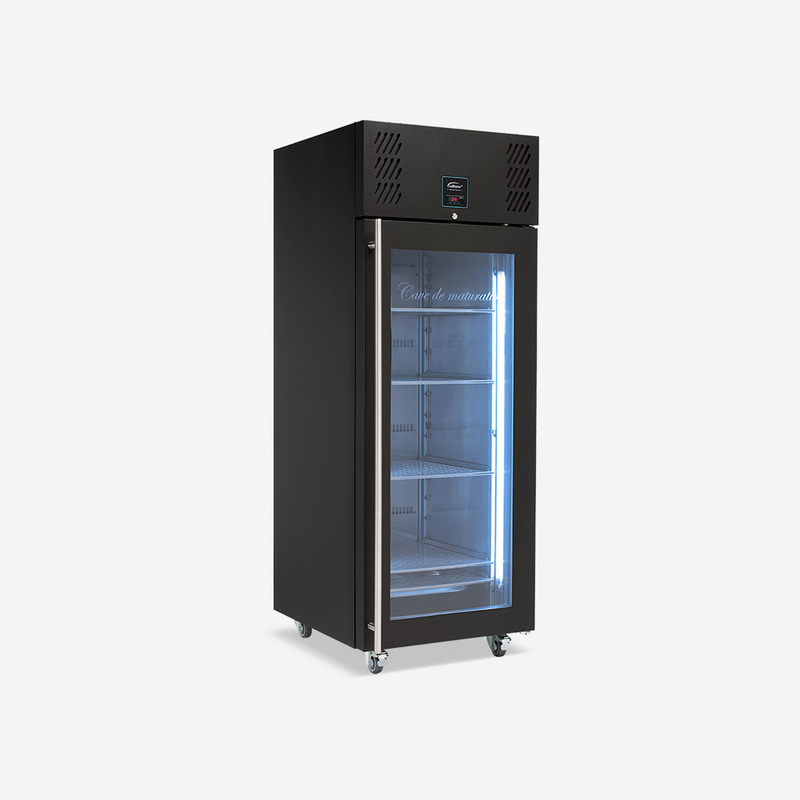 Fits through a standard door for ease of positioning. 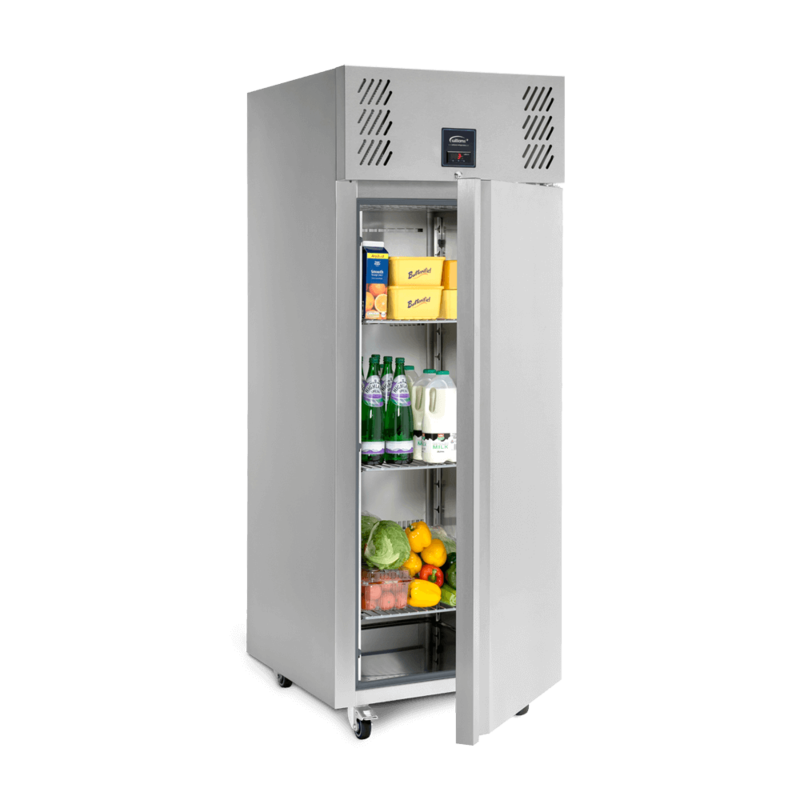 A slimline, upright single door cabinet with under-mounted refrigeration system. 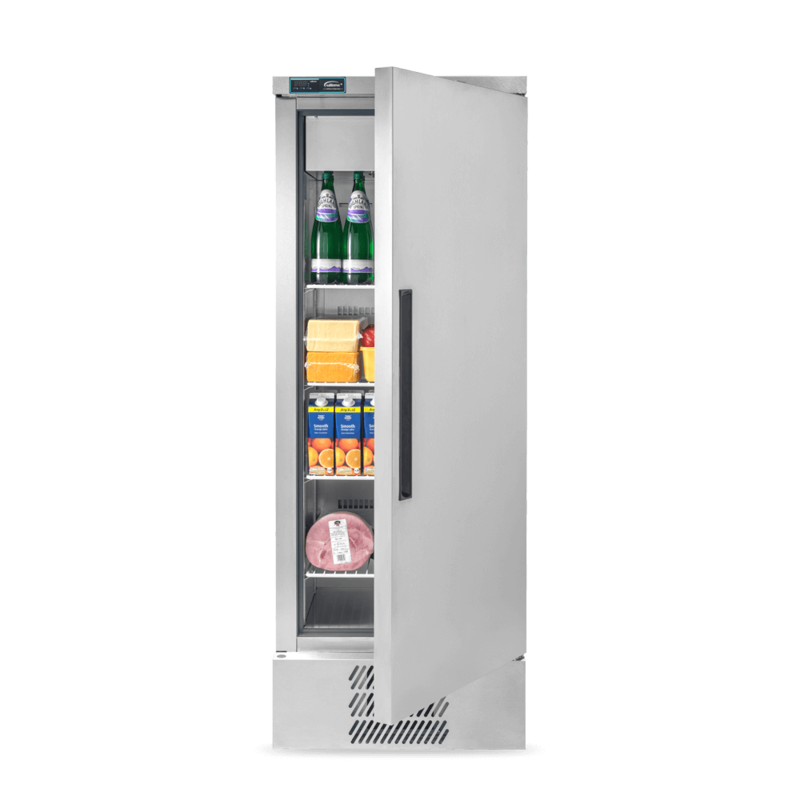 The space-saving, budget-priced Amber A400 has a capacity of 410 litres. 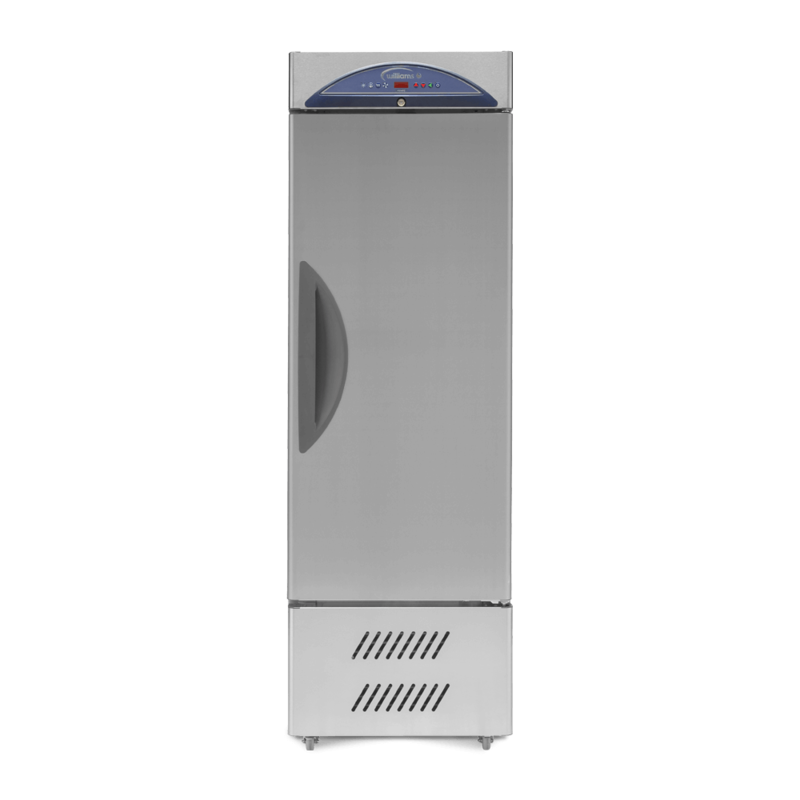 Designed for the storage of fish, the Zircon Z18 is a single door, slimline upright cabinet with a capacity of 312 litres. It is supplied with 7 polypropylene containers, each with a removable slime tray.